The spit Vc rolled out in fairly large numbers with 4x20mm. Wartime testing suggested that there was very little performance difference between that and the two x20 4x303 version. However, 2 of the 20mm were sometimes removed to increase performance slightly- I THINK- providing they were not replaced by 4x303 and all the ammo for them! I'd love to see a SPIT V with 4 20mm, or the option of having only 2x20mm with no rifle caliber guns. I can't remember the exact reasoning behind not including this variant- but I think it was people thought it would make the spit too good. I can understand that- but if that's the policy, then imagine the reaction if the most capable variants of the other planes in the game were disallowed? Interesting. I'll bring it up with the FM team and do some research. It would be quite easy to add the 4x 20 mm option to the Spitfire Vc for the next update. Jabo is 99% correct. It's a C wing on Spit V's. Something else for the FM group to think about. The description of the USA G-suit. P-51D 25s P-38Ls all had the G-suit system installed in them during production. late model Spitfire IX also has G-suit systems installed. limit to about 6.75 gs and the pilot cold retain control of all the flight control systems. Any authentic links with these data / factual points? 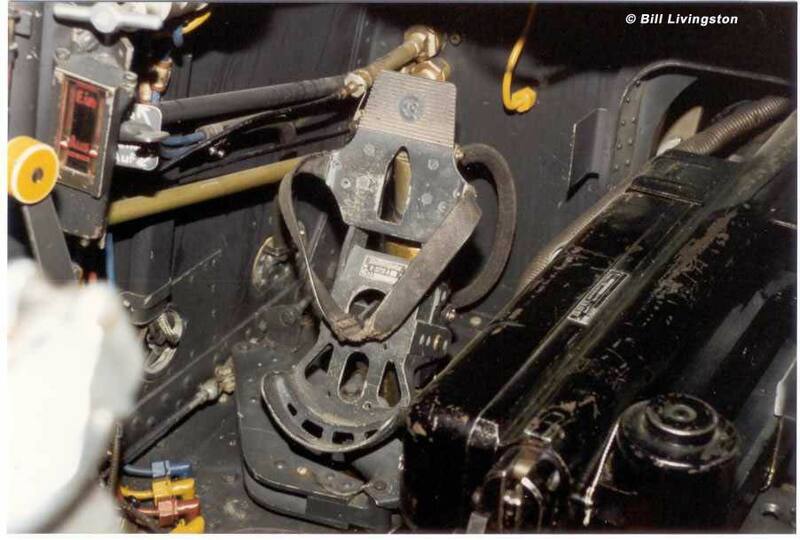 Spit rudder pedals. Notice the two positions the feet can have. High and low. Maybe .5G added to blackout resistance.